The Winter holiday season can bring the most revenue to all types of local businesses from beauty salons, restaurants, bars, toy stores, and more. In order to maximize your exposure to a targeted local audience, we reached out to social media experts and asked them to share their Local Business Holiday Social Media Marketing Tips. Their tips will help you to get away from vanity metrics like followers and likes to instead convert social media followers into paying customers. 1) Create content for each platform. Many companies make the mistake of taking a one-size-fits-all approach to their platforms which is like inviting friends to four different events where they will have the same conversations and experience. Create a fun video for Facebook, showcase a discount on Instagram, write a thought leadership piece about your product on LinkedIn and host a Twitter Chat or run a poll on the platform. Writing a blog and sharing it on all platforms is fine, but that shouldn’t be your only promotion. 2) Give something of value. The worst thing you can do is use your social media platforms as a space to run the world’s longest social media commercial. Give tips, ask questions, share information related to your product and make a link. It should be 70% engagement, 30% hard sell. Create a content calendar. Choose interesting and vibrant visuals that are clear (check how that small, clear image looks when you add it to LinkedIn- if it’s blurry, don’t use it). Make sure your visual display looks good together. Research hashtags, ask a question and always include a call to action. 1) Holidays are something all of us share, so even though we may not all speak the same technical or business jargon, we all can speak the language of what the holidays represent. 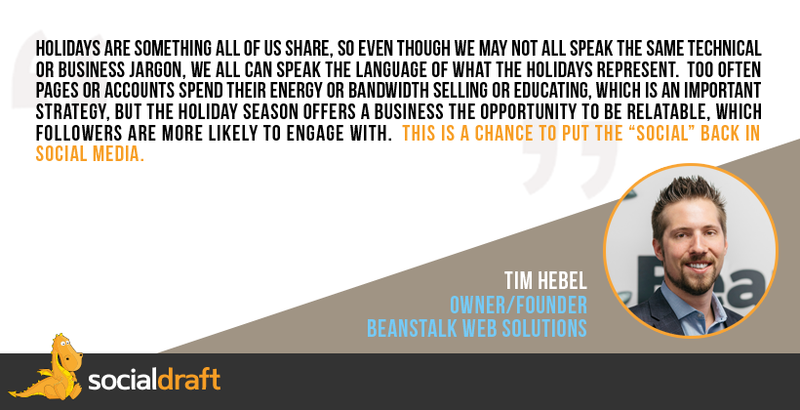 Too often pages or accounts spend their energy or bandwidth selling or educating, which is an important strategy, but the holiday season offers a business the opportunity to be relatable, which followers are more likely to engage with. This is a chance to put the “social” back in social media. 2) Post content that is funny, interesting, and that your audience will appreciate. Be consistent across all your platforms as your audience probably doesn’t follow you on every platform, and be available to interact with the audience on the various platforms. 3) If you’re putting dollars behind your social media posts, there are other best practices to be aware of. In addition to the well understood facts of having aesthetically pleasing and well designed content (for the ad and landing page), when engaging with followers via an ad specifically, it is crucial to have that ad’s landing page relate directly and unequivocally to the content in the ad to reduce bounce rate and help the algorithms recognize your ad experience as a pleasant one. This strategy, along with a carefully targeted audience will not only put your message in front of those most likely to respond but will allow you to get the most from your budget. 1) Be consistent. Don’t let social media efforts fall short in the holiday rush or vacations. This may seem like a basic rule, but it’s an essential one to ensure that algorithms don’t get the better of you. Many social algorithms award users for regular, consistent posting. When you don’t keep up, your content will be less likely to appear on people’s feeds and timelines (especially if you don’t have the budget for sponsored posts), which hurts your engagement, follower count, and consequently, sales. 2) Offer value, not just sales. 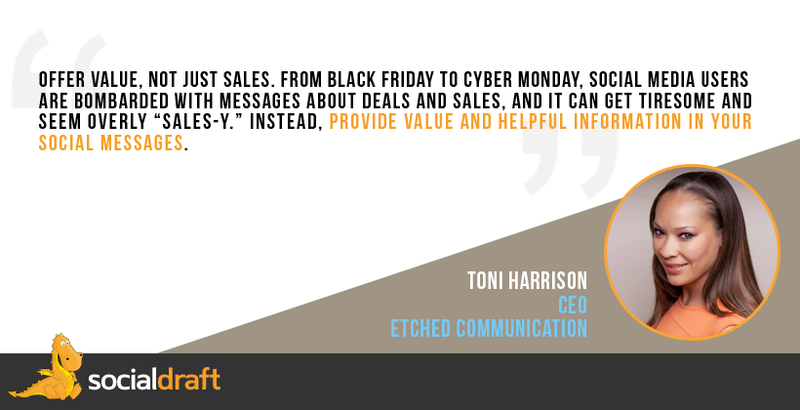 From Black Friday to Cyber Monday, social media users are bombarded with messages about deals and sales, and it can get tiresome and seem overly “sales-y.” Instead, provide value and helpful information in your social messages. If you’re a local gym, don’t solely push memberships, create posts about how to stay healthy and active during the holiday. If you’re a beauty brand, post content about how to best style looks for holiday events and parties. If you’re an auto shop, tell your followers how to maintain their cars in the cold weather. This will help you stand out against competitors, and customers are more likely to patron your brand if they rely on you as a trusted, expert source. Plus, posts that provide value are the type of content that elicit people to like, comment and share, which will spread your visibility. 3) Engage. Social media is an engagement tool, not a digital billboard or company news board. Your online audience, customers and clients, must be involved to secure loyalty and engagement. Keep in mind, your content shouldn’t be limited to social media posts on your networks. Joining online conversations in relevant online networks and commenting on posts from your audience is also required for maximum engagement to drive visibility and sales. 1) Be consistently visible – Post regular content on LinkedIn that’s of value to your ideal clients to remain in their feed and front of mind. 2) Be clear about who your ideal client is and post content aimed specifically at them – Your ideal clients are more likely to take notice and respond to your content if it is aimed at them and speaks to their challenges, pain points, and motivations. 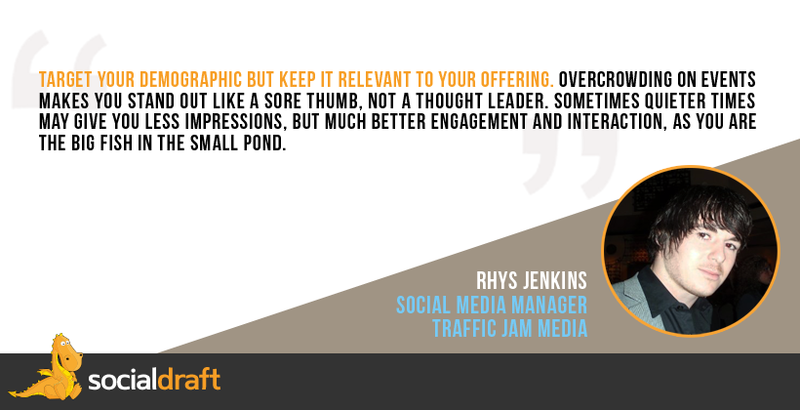 3) Clearly articulate in your LinkedIn Profile – specifically your headline. Summarise who you serve, the outcome that you deliver and what makes you stand out from others. Ensure you add clear instructions on how to contact you if someone is interested in working with you. 4) Show your audience how you deliver value and the outcomes you offer, don’t tell people about them. 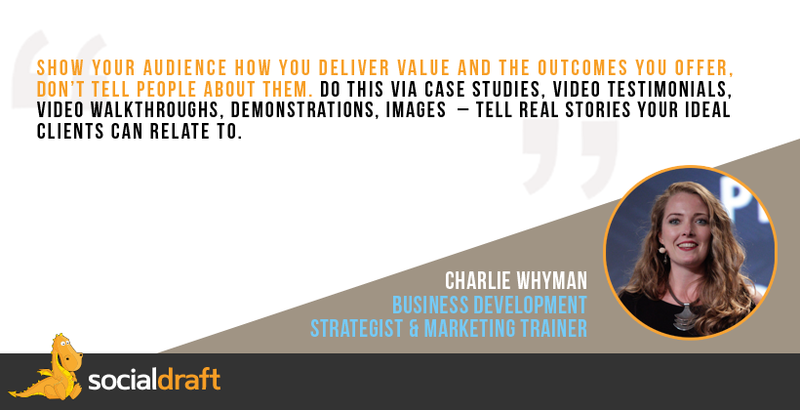 Do this via case studies, video testimonials, video walkthroughs, demonstrations, images – tell real stories your ideal clients can relate to. 5) FOLLOW UP with people that send you messages and inquire about your services. So many opportunities are missed by people that don’t follow-up. Use LinkedIn messenger, pick up the phone, use different methods of communication but don’t stay silent and do nothing. 6) Address sales objections in your content using case studies and stories – if one person has an objection to buying from you (not enough time, not enough money etc…) others probably do too so using content in an open forum is an effective way of progressing people from interested to purchasing. 1) People either go overboard in holidays or non-existent. The key is to keep up your current levels of activity but change your strategy and most importantly – the timings. People on holidays will use social media for slightly different reasons and for sure will use at different times. 2) Your usual best posting and engagement times will change. People will be able to check their social more often through the day as they won’t be at work, so with have more free time. You can post in between 9-5 and get more pickup than usual. 5) Target your demographic but keep it relevant to your offering. Overcrowding on events makes you stand out like a sore thumb, not a thought leader. Sometimes quieter times may give you fewer impressions, but much better engagement and interaction, as you are the big fish in the small pond. 1) Focus on Holiday-Specific Products and Promotions. The more you focus your social media marketing efforts, the more likely it is to get noticed and drive conversions. Running multiple promotions and featuring anything and everything in your portfolio will dilute the message. To avoid this, you should design your holiday campaign so that it focuses on promoting the same products or promotions across all platforms. The idea is to increase the content’s reach and giving consumers multiple touch-points to interact with your holiday promotions. 2) Get Creative with Your Social Media Content. 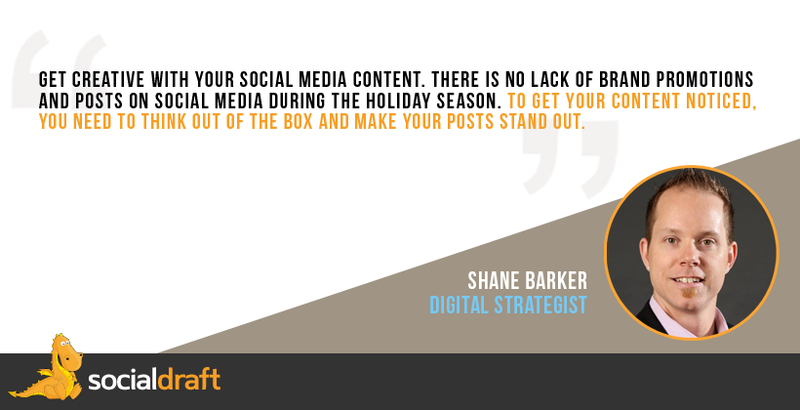 There is no lack of brand promotions and posts on social media during the holiday season. To get your content noticed, you need to think out of the box and make your posts stand out. One example is how a well-known company Starbucks not only created engaging holiday-specific content but also added a call-to-action to get sales conversions. Starbucks added a holidays Instagram highlight on their Instagram profile with a series of images and GIFs to attract audience attention. Use these tips to optimize your social media holiday campaign to get more conversions. And don’t forget to add purchase links and a clear call-to-action to your posts. 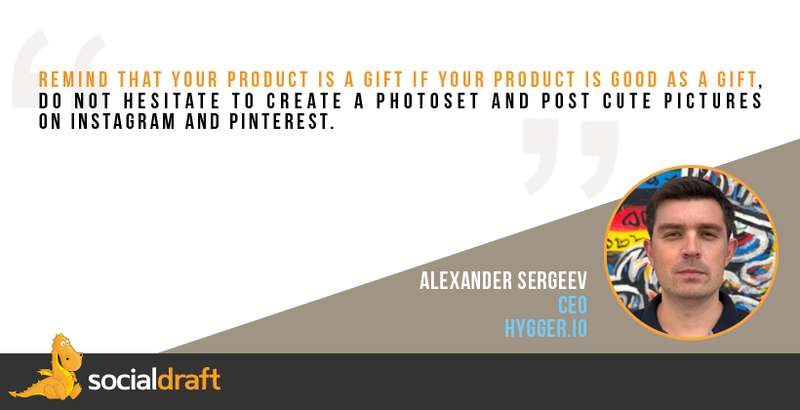 1) Remind that your product is a gift If your product is good as a gift, do not hesitate to create a photoset and post cute pictures on Instagram and Pinterest. 2) Add video Any holiday is a reason to dilute the monotonous posting and publish something unusual. Many popular brands use holidays to attract followers with interesting videos, corporate films, etc. 3) Create your own corporate hashtags Many brands use them when planning posts promotion on Instagram, Twitter or Facebook. 4) Arrange a global social media campaign with partners It’s about any co-promotion campaign. It’s a great way to start the global social campaign.